Knowledge and service are two of the key ingredients offered by this team. Taking buyers and sellers through the entire sales transaction with attention to details, constant communication and a focus on a satisfying ending is our goal. The relationship does not end there and that is why referrals have been such an important part of our business. We have a business and hope the outcome is a long lasting friendship! Pat is a native of Atlanta, Georgia who moved to the “Low Country” in 1989. After 15 years of network sales and management with the CBS and ABC affiliates he decided to make real estate a full time endeavor. 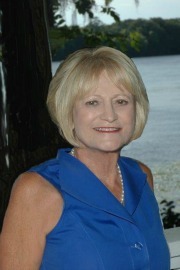 Deborah is a native of South Carolina and has lived in this area for 35 years. Her expertise has been new construction so relationships with builders, plans, prices and developer incentives is helpful to new home buyers. 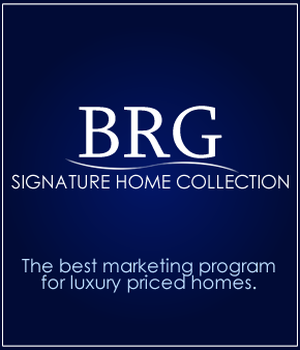 Living in the Prince Creek area and working in the new BRG office in Murrells Inlet is a good fit. Beach Realty Group is a very tech savvy real estate company generating leads with an interest in low property taxes, great weather, beaches, activities, and medical facilities. Our listings are featured and receive maximum exposure here. The lifestyle has been very rewarding for Pat and Deb who enjoy golf, travel, fine dining, and a great fitness center just around the corner. If all of this sounds good to you give Pat or Deborah a call, 843-855-9888 or 843-855-9961, to set up an appointment so you can get to know them and find out how their experience might benefit you. The Shine’s knowledge of the area has been invaluable to hundreds of buyers and sellers during their more than 30 years in the real estate business in this area . I hope that anyone that reads this letter of recommendation regarding Deborah Shine, will understand the gratitude we have for her when we were looking for our home. Our journey started about 2 years ago. My husband, Dan and I were living in Northern California and were looking for somewhere to retire to in the future. We wanted to take a trip to Murrells Inlet based on online research and retirement magazines. I was looking for homes on a specific website and requested more information. A Realtor was listed for the property in Murrells Inlet (MI), but when I got a call back, they assigned me to Deborah. How very glad we were to have been handed in to her capable hands. We talked long distance several times, emailed a lot and then made arrangements to fly out there and look at properties and view the area. Deborah was a fabulous guide showing us Huntington Beach and driving us all around the area showing us where stores, hospitals and other amenities were located. We went to lunch on the Marsh Walk and started to really get a feel of the area. We thought we wanted to live in Myrtle Beach, but after spending more time in MI, we were sure this was the best place for us and our needs. After we returned home in CA we discussed a lot of things and tried to come up with a plan for Dan's retirement date. As things would happen, plans and circumstances changed. We had to tell Deborah that sadly we would not be coming out to MI as planned. In the meantime during those two years, we thought about other places to live as well. Laurel, Mississippi was another good retirement place we researched. We tried to fly there, but were stopped by Hurricane Maria a sign maybe? We did make it there eventually and looked around, but it did not have the same draw as MI did. Dan decided we needed to try to talk with Deborah again about coming out and looking around. I was just too embarrassed about calling after two whole years as I felt like we had wasted her time with the first visit. So, we reached out to Deborah and I apologized for the past and she was just as kind and helpful as she was the first time we met. When I called that second time, she must have had me on caller ID, as she remember me right away. She understood how life happens and stuck with us. She took the time to drive us (along with my sister-in-law) around to look at more homes for a couple of days. We found a place online that I really wanted to see. We were able to look at it, as it was vacant in a 55+ neighborhood. The house was nice and we continued to look at a few others. Nothing seemed right. I had that "feeling" you get when you know a house is speaking to you and I asked if we could go back for a second look. Deborah was so accommodating and easy going. Of course we went back and I knew this was the one. We finally left CA and were living temporarily in Beaufort, SC by now while we were looking for a home in SC. After making the offer on the home we loved, Deborah was there for us the whole way, making sure all the local inspectors, etc. were taken care of in our absence. She worked with the Sellers Agent and got all the documents ready for us. I wanted to paint the interior and Deborah even had someone who helped us with that. As any homeowner knows there are things you want to make "yours" and she gave us the name of a wonderful man that has come to be a friend and is just the handyman we needed for small jobs. I have discovered that Deborah and her husband Pat are well known and very much respected in the community. They can direct you to people that can help with anything you may need. We never felt like we were forgotten and every question I had (and there were many) were answered promptly and kindly by Deborah. She sat in with us during the closing with our Attorney and even called a couple of times after closing. We highly recommend Deborah Shine to anyone needing a professional, friendly, kind and knowledgeable Realtor in the Murrells Inlet, SC and surrounding areas. I think that she will be a lifelong friend and I feel I can still call her to ask questions about things here or just to chat. Without a doubt, Deborah Shine was a blessing to meet and work with. Deborah Shine is a great real estate agent. I think very highly of her. So glad she helped me with my search. You are blessed to have her as part of your team. ~ Linda S.
The Shines are spectacular to say the least! Deborah and Pat worked by our side from day one to sell our home in Murrells Inlet! They were professional, enthusiastic and know how to communicate - which makes them true shining stars in real estate. Their 'can do' attitude resulted in the selling of our home in several weeks! The Shines are in a class by themselves! We had a wonderful experience working with Deborah & Pat. It was such a pleasure working with them. I asked to see the same house at least five times and Debora...h always greeted us with her beautiful smile. The good news is we did end up buying that home. When we arrived at our new home our entry way was decorated like a beautiful gift box. To me it said " Welcome Home".At the end of it all ... I felt like they were family. I would definitely recommend Shine Sells The Beach Realty. We want to thank you both again! We miss you and Pat. For 6 or 7 months you guys were our constant friends and helpers at every turn. When our house is "Bunny" ready for guests, you two will be at the top of our list for friends to come over for drinks or steaks or both or whatever. Thanks for everything! I am so glad I sent an e-mail to Beach realty asking if they had anybody with a "golf IQ" in real estate. Pat answered, and what a Bonus we got in You. You both are special to us. When my game is ready, I hope Pat and I can play some golf together. Bunny says Hi and we look forward to having the two of you over to our new home soon, when it is ready. Thanks again.